If you were looking for my "top ten" list of dramatically new trends for the new year, sorry to disappoint you. What I expect is that we'll see many of the same things we've been seeing for awhile in software-as-a-service (SaaS) marketing... only more of it. Customers will confront more confusion about SaaS, PaaS, IaaS, cloud computing, private clouds, public clouds, hybrid clouds, etc. Much of that is a natural consequence of a still-emerging market, with every vendor, analyst, pundit, and guru trying to put their own spin on things. 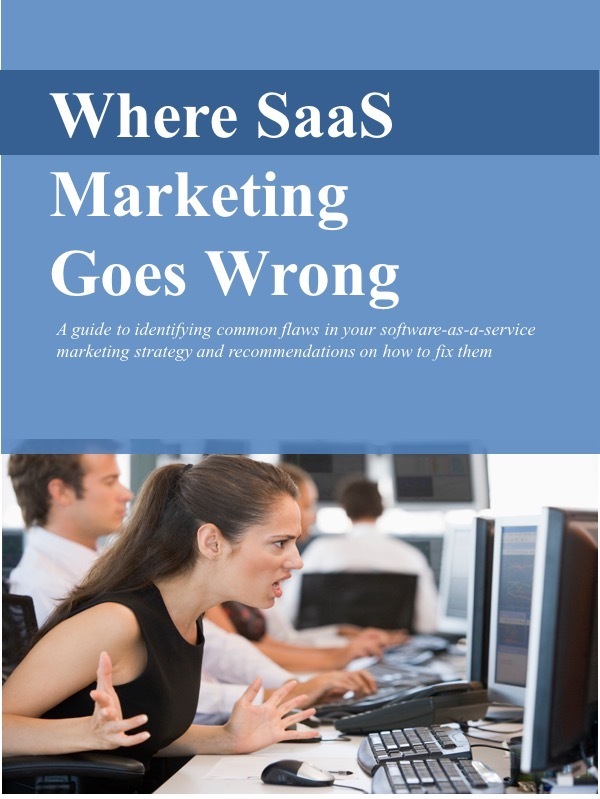 For SaaS marketers that means you should continue to educate prospective customers. To put a twist on the old Sy Syms maxim, "an uneducated consumer isn't likely to be a customer at all." Help prospects to understand the basics of SaaS and you'll gain their confidence and accelerate the sales process. It will be even more difficult to cut through the clutter this year and capture prospects' attention. Speaking from my own experience, there's ever more stuff coming at me through my email, phone, mobile device, web browser and TV screen. And at the same time, I think my attention span is getting shorter. Marketers will need to get their messages across with laser-sharp clarity. If prospects can't figure out in less than a minute what problem you solve and why they should pay you money for it, they'll move on. Over the course of the year, I'm planning on doing a "one-minute drill" on selected SaaS vendors' marketing messages to assess how well they articulate their benefits and advantages in under 60 seconds. Stay tuned. Companies learned a lot about cutting costs in the past couple of years, and many learned to do marketing on a shoestring. Be assured that our friends in the finance group noticed that marketing folks could do more with less. Or at least we could do something with less. Bottom line, don't expect a huge marketing budget windfall in 2011. If they haven't already, marketers will need to put processes in place to regularly measure the success of each program. The cardinal rule still applies: the cost of acquiring a customer can't exceed the lifetime revenues that the customer will generate. And keep in mind that programs and tactics that worked well last year may not work so well this year. One great thing about SaaS is that it's getting easier and less expensive for new companies to build an application. One terrible thing is that it's getting easier and less expensive for new companies to build an application. I've seen a handful of clever developers build an application on top of Force.com in a matter of months. Easy access to outside platforms and infrastructure at "pay-as-you-go" costs makes it lots easier, cheaper and faster. For existing SaaS solution providers, expect a continuing influx of start-up competitors who think their solution is a little bit better than yours. Add to this that more large, on-premise application vendors won't ignore the SaaS challenge any longer, and those that have been dipping their toe in the water will likely take the full plunge soon. If they do it well, these deep-pocketed vendors can make a big splash. For you existing SaaS vendors, prepare yourselves: sharpen your value messages, hone the customer acquisition process, and engage your existing customers. With the growing use of social media, customers expect more interaction with their vendors. They want to know more about what features are available, how best to use them, and what's coming in the future. And they want an opportunity for a conversation, not a one-way outbound broadcast. SaaS marketers should communicate regularly with customers through all appropriate channels. For SaaS businesses that rely on renewals (and that's most of you), existing customers are also prospective customers. In addition to email, newsletters, events or whatever else has worked in the past, try out social media. Facebook and Twitter are becoming more widely used, even for business-to-business companies. Though you want to be careful not to be too casual, you may find that the more "human," less "corporate" tone of social media is refreshing.